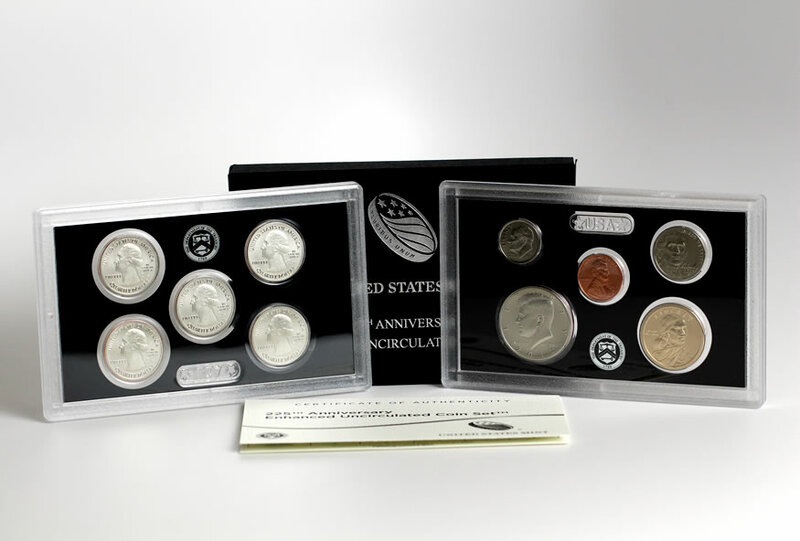 A CoinNews photo of a 2017-S Enhanced Uncirculated Coin Set. It sales are at 210,789. It’s been three weeks since the U.S. Mint launched a new product. The latest sales stats reflect that with flagship coins and sets topping their list of weekly bestsellers. A scattering of some more recent releases follow. 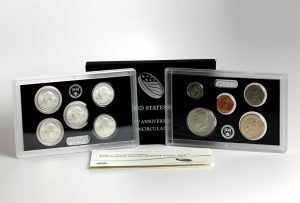 In products that have become unavailable within recent weeks, the 2017 Limited Edition Silver Proof Set dropped 102 to 49,212 while the 2017-S Enhanced Uncirculated Set climbed 304 to 210,789. The U.S. Mint published sales data for 302 numismatic products. One hundred and thirty-two outperformed their prior weekly gains compared to 80 previously. Six products increased by more than 1,000 units, matching the prior report. Seven products saw their sales total reduced compared to 1 previously. Below are tables showing the latest sales for U.S. Mint numismatic products. The sales period covers Oct 30 to Nov. 5. Products with an asterisk (*) are no longer available. Not worth getting. No silver in them.. Pretty low silver proof set mintage so far this year. These and the regular proof and mint set numbers have been sliding for years, but this is particularly low. Not sure if they’ll ever be a great investment, but if you want one I’d suggest getting it fairly soon. does any body know whats going on with the balance of the 2017s EU set ? i heard the mint was dumping the damaged ones , they have been unavailable for a few weeks now but the weekly balance keeps changing . 14,211 sets left thats a lot for a four minute sellout as per mezak .\Ha Ha .